LOS ANGELES – March 8, 2018 – U2, Talking Heads, Depeche Mode, Blondie, Duran Duran, Tears for Fears, The Clash, The Cure – over half a billion records sold, but you might have never heard of them if not for a small suburban radio station on Long Island, NY called WLIR 92.7. 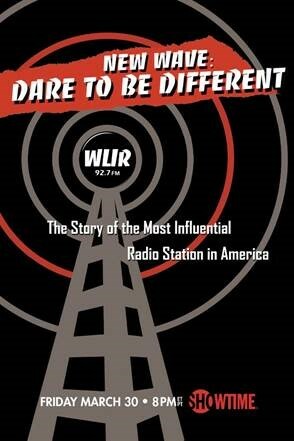 NEW WAVE: DARE TO BE DIFFERENT, premiering on SHOWTIME on Friday, March 30 at 8 p.m. ET/PT on-air, on demand and over the internet, is a nostalgic look back at the rogue radio station on the cutting edge of music throughout the 1980s. Program director Denis McNamara, the station crew and the biggest artists of the era tell the story of how they battled the FCC, record labels, mega-radio and all the conventional rules to create a musical movement that brought New Wave to America. To watch and share a clip from NEW WAVE: DARE TO BE DIFFERENT, go to: https://youtu.be/SdmvLN_pZq8.